رفیعیان, مجتبی, سعیدی رضوانی, نوید, محصصیان, زهره. (1396). استفاده از مدل ارزیابی اقتصادی بازا رمحور جهت حفاظت از باغات سنتی شهر قزوین با استفاده از رویکرد انتقال حق توسعه (TDR). معماری و شهرسازی آرمان شهر, 10(21), 309-321. مجتبی رفیعیان; نوید سعیدی رضوانی; زهره محصصیان. "استفاده از مدل ارزیابی اقتصادی بازا رمحور جهت حفاظت از باغات سنتی شهر قزوین با استفاده از رویکرد انتقال حق توسعه (TDR)". معماری و شهرسازی آرمان شهر, 10, 21, 1396, 309-321. رفیعیان, مجتبی, سعیدی رضوانی, نوید, محصصیان, زهره. (1396). 'استفاده از مدل ارزیابی اقتصادی بازا رمحور جهت حفاظت از باغات سنتی شهر قزوین با استفاده از رویکرد انتقال حق توسعه (TDR)', معماری و شهرسازی آرمان شهر, 10(21), pp. 309-321. رفیعیان, مجتبی, سعیدی رضوانی, نوید, محصصیان, زهره. استفاده از مدل ارزیابی اقتصادی بازا رمحور جهت حفاظت از باغات سنتی شهر قزوین با استفاده از رویکرد انتقال حق توسعه (TDR). معماری و شهرسازی آرمان شهر, 1396; 10(21): 309-321. 1دانشیار شهرسازی، دانشکده هنر و معماری، دانشگاه تربیت مدرس، تهران، ایران. 2استادیار شهرسازی، دانشکده عمران و معماری، دانشگاه آزاد اسلامی قزوین، قزوین، ایران. 3کارشناسی ارشد شهرسازی، دانشکده عمران و معماری، دانشگاه آزاد اسلامی قزوین، قزوین، ایران. افزایش جمعیت و تراکم در شهرها باعث تمایل توسعه گران برای استفاده بیش از پیش از اراضی شهری و در نتیجه فشار فزاینده به فضاهای باز و اراضی کشاورزی شده است. به دنبال راهکارهای عملیاتی و اجرایی برای حفاظت، دیدگاه های نوین در شهرسازی ارائه شده که رو کیردهای بازار محور از جمله این دیدگاه ها در دهه 90 است که منجر به تولید و ارائه ابزارهای کارامدی برای استفاده از ظرفیت های بازار در سیاست گذاری های شهری شده است. یکی از موفق ترین رویکرد های بازار محور در راستای حفاظت از فضاهای باز، انتقال حق توسعه است. انتقال حق توسعه در واقع به معنای حفاظت از زمین به وسیله انتقال حقوق توسعه از یک منطقه به منطقه ای دیگر است. در واقع این رویکرد به مالکین اجازه می دهد که حق توسعه را از قطعه مشخصی از ملکشان جدا کرده و به فروش برسانند و خریداران دیگر مالکان هستند که می خواهند تراکم زمین هایشان را افزایش دهند. شهر قزوین از جمله شهرهایی است که باغات وسیع میوه همچون حلقه ای سبز در پیوند با گذشته، بافت قدیمی شهر را در برگرفته و این باغات سنتی در حال حاضر در معرض تخریب هستند. روش تحقیق در این پژوهش روش تحلیلی است که با استفاده از داده های میدانی و بهره گیری از مدل های تحلیل ماتریسی و روش هزینه و فایده صورت گرفته است. شاخص های مورد نیاز برگرفته از تجارب جهانی اجرای پروژه های TDR انتخاب و با شرایط قزوین بومی سازی شده اند. نتایج نشان داد که ارزش افزوده حاصل از باغات سنتی به میزانی است که می توان در راستای حفاظت از آن ها مورد استفاده قرار گیرد. تحلیل سناریوها نیز نشان داد که هر چه میزان ارزش مازاد حق توسعه بیشتر باشد، امکان موفقیت روش انتقال حق توسعه بیشتر می شود. Abdollahkhan Gorji, B. (2003). Mechanism of Transfer Development Right, Shahr, 3(5). APA. (2008). American Farmland Trust: Farmland Information Center, “Fact Sheet” Transfer of Development Rights (p. 14-18). Ardestani, Z. (2008). Investigating Mechanisms to Improve the Processes of Improvement and Modernization of Urban Textile Tastes Using the Right to Development Transfer Approach, CaseStudy: Sirous Neighborhood”. Master’s Thesis for Urban Planning, Guide Master: M. Rafieian,Tarbiat Modares University, College of Arts and Architecture. Armanshahr Consultant Engineers (2000). Master Plan of Qazvin, Vol. 14: Implementing Rules and Regulations, Housing and Urban Planning Organization of Qazvin Province. Aryanpour, A. (1986). A General Survey of Persian Gardens and an Investigation of the Historical Gardens of Shiraz. Tehran, Iran: Golshan Publication. Brown, L.R. (2001). Eco – economy: Building an Economy for the Earth, New York: ww.norton & Company. Burlington County Board of Chosen Freeholders. (1992). Planning for Transfer Development Right: A Handbook for New Jersey Municipalities. CLUE (2005). Planning Implementation Tools Transfer of Development (TDR), AHBCC ( P. 3). Dehart, H. G. & Etgan, R. (2007). The Feasibility of Successful TDR Programs for Mary Land, Eastern Shore, (pp. 57-59). Environmental Commission Association of New Jersey. (2006). Fulton, B. & Greve, G. & Weaver, S. (2006). Santa Barbara Ranch Transferable Development Rights, Feasibility Analysis, (pp. 2-13). GIC. (2008). Green Infrastructure Center, Using Land Use Planning Tools to Support Strategic Conservation. Gulriz, M. (2003). Minudar ‬ or: Bobol jannah. 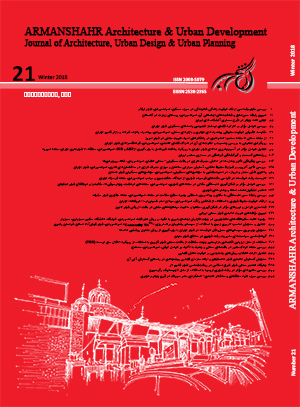 Tehran, Iran, Taha Publication. Kaplowitz, M.D., Machemer, P. & Pruetz, R. (2008). Planners’ Experiences in Managing Growth Using Transferable Development Rights (TDR) in the United States. Journal of Land Use Policy, 378-387. Kopits, E. & Wall, M. (2005). Making Markets for Development Rights Work. Washington DC. Libby, W. & Kirk hall, P.L. (2003). Transfer of Development Rights: A Real Policy Option for Ohio, (pp. 8-10). Maleki, G. (2006). Designing a Transfer Development Right, Implementation of Iranian Urban Planning, Saravand Consulting Engineers. Manavi, M. (1996). Transfer of Development Right: Promising Tool of Future, Pace University Land Use Law Center. McConnell, V., Walls, M. & Kopits, E. (2006). Zoning, TDRs and the Density of Development. Journal of Urban Economics, 440-457. Montgomery County Planning Board. (2002). Meeting Minutes of July 25, 2002. available at : http://www.mc-mncppc.org/board/meeting-archive. Nejatian, M. & Afsharzadeh, A. (2007). Gardening and Traditional Qazvin Gardens in Safavid Era, Qazvin Congress of Era Safavid, Imam Khomeini International University, Qazvin, Iran. New Jersey Pinelands Commission. (2003). Pinelands National Reserve: A Cooperative State & Federal Partnership. Parvizi, H. (2002). Investigating the Effective Factors on Functional Restoration of Qazvin Traditional Gardens.Master’s Thesis for Urban Planning, Guide Master: M. Ansari, Tarbiat Modares University, College of Arts and Architecture. Pizor, P.J. (1986). Making TDR work: A study of Program Implementation. Journal of the American Planning Association, 52, 203-211. Pruetz, R. & Standridge, N. (2008). What Makes Transfer of Development Rights Work? (3-10). Pruetz, R. (1997). Saved By Development: Preserving Environmental Areas, Farmland and Historic Landmarks With Transfer of Development Rights, Burbank, CA: Arje Press. Pruetz, R. (2003). Beyond Takings and Givings, Saving Natural Areas, Farmland, and Historic Landmarks with Transfer Development Rights and Density Transfer Charges. Arje Press, Merina Del Rey, CA. Reid, S.K. (2007). Estimating the Impact on Agencies and Users of Transferable Development Rights Programs: An Empirical Study of the Lake Tahoe System. University pf Nevada, Reno. Roddewig, R.J. & Inghram, C. (1987). Transferable Development Rights Programs: TDR, s and the Real Estate Marketplace. American Planning Association Advisory Service. Sahizadeh, M. & Izadi, M. (2004). Conservation and Development: Complementary or Conflicting Approaches? Abadi, 45(14). Varjavand, P. (1998). Qazvin History and Culture, Nei Publication. Yapinga, W., Minb, Z. (2004). Urban Spill Over vs. Local Urban Sprawl: Entangling Land Use Regulation in the Urban of China Megacities’, 12-14.